Note: The author presents Home Studio Troubleshooting Webinars - live Q&A help! 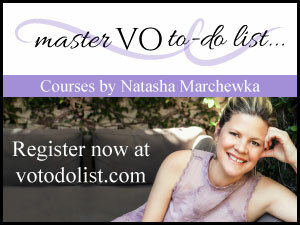 - for Beginners on Feb. 23, and Advanced home studio users, Feb. 24. For details, please visit http://bit.ly/HomeStudioWbnrs. I learned the art of troubleshooting from my, yes, 9th grade Power Mechanics teacher, Mr. Sohmann. A classic, brush cut and bow tie kind of a guy who was a true "teacher” in every sense of the word. He must have caught my 15-year-old self's usually lacking attention. Those lessons learned in process checklists - on how a lawn mower works and can malfunction - apply across several technical disciplines. I see his face every time I'm faced with a troubleshooting question. If something in a chain of events does not work properly, the chain ends there, and the end function does not occur as expected, or at all. In Mr. Sohmann's example, a lawn mower or any internal combustion engine, you need three things for the motor to fire up and do its "work”: fuel, air and spark. If the motor won't run, you go through the checklist. Do you have gas? Is it flowing to the carburetor? If yes fine. If not, why not? Fix the "why not.” Do you have air? Is the throttle working? Is the air filter clogged? If no problem there, check the spark plug, etc., etc., and down the line until you find the missing or malfunctioning link in the chain. In a home voice-over studio, the same logic applies. What does your computer need to record that audio? Your software understand, and can use to magnetically imprint on your hard drive. Each device has a function and has its own algorithm to function. Knowing those individual functions, without necessarily knowing how that function works - only that it does or does not work - is usually enough to go through the checklist and find your problem. Having been around sound processing equipment my entire life, the checklists are ingrained in my mind. If you really have no idea how your voice gets from your vocal chords to the hard drive, you call me. When I got this email from my client "Jim,” it was so unusual, you would think that the above logic would be thrown out of kilter. I hope all is well in your world, and that you had a great holiday. After we talked several months ago, I did as you suggested, as I set up my home studio in my closet. It also gives me an alone space in which to hide from time to time. And, I worked on reducing the over modulating and I've been happy with what the results have been. However, now I have a problem that I'm unable to figure out. I plugged everything in to do an audition this morning and there's something in the background that almost sounds like an irregular heartbeat that I can't remove. I've got the MXL hanging from the suspension thing and when I couldn't get it to stop, I tried it in the firm holder and still no good. I made sure nothing was touching the stand; no breezes coming in; everything looks like it's still, quiet, and as it's supposed to. I closed the closet door so nothing was inside but the mic and stand, and recorded about 10 seconds. I then normalized it so you can really hear the demon that has possessed the thing. The click in the background was my wife locking me up, so disregard that part. Please, help. Any suggestions as to what might be causing this? The algorithm still applies, though. I solve the problem by asking questions. I had a hunch based on prior knowledge of something. My line of questioning proved my thesis. You screwing around with me? I'm not a doctor (but I've played one on TV), and that sounds like Atrial Fibrillation. Have you had any power surges lately? Sometimes the electronics can be zapped by that, and screw things up (my hunch). There's only one way to find out. You have to use something else to track down the source. For instance, what are you using for a digital interface, a Mic Port Pro? Or is the microphone a USB mic? You have to have an alternate input device to see if it's the mic, the D/I, or if you're just really excited when you get in the room. Oh Doctor, I'm using an M-Audio Mobile Pre. Jim, You're using a Mobile Pre USB. Guess what? I think it's fried. How do I know? A few years back, after a big ice storm and lots of power surges in our neighborhood, my M-Audio MobilePre did something similar and started sending "Snaps” into the audio. I replaced it and away went the problem. I used it a few weeks ago for something and it's still doing it. How long have you had it? It may be a design flaw. Contact M-Audio and tell them you definitely know that's the problem, as you tried something else and the problem went away. See what they say. That said, it may be time to get yourself a CEntrance Mic Port Pro or something I just started using, an Apogee ONE. The Mic Port works great for $150. Really! Thanks for the advice and troubleshooting. Strange, you diagnose the same way most Southern California doctors do - except for the plastic surgery suggestions. I ordered the CEntrance Mic Port Pro you suggested, so now you'll have that on your conscience. I also tried plugging the mic into the #2 port on the Mobile Pre, and all the blips went away. Proves once again, how on target your diagnoses are. I'll have that to use until the new one arrives, and as a back-up if the new one fails. Needless to say, I'm still buzzing over that one. Unlike the beliefs of some, there are no "demons” in electronic equipment. Everything has a logical explanation. This is the first in a series of home studio Q&A columns I'm writing for VoiceOverXtra, which is also presenting live Home Studio Troubleshooting Webinars on Feb. 23 (for beginners) and Feb. 24 (for advanced home studio users). Join us with your home studio problems and see if you can stump me! Dan Lenard is a veteran radio personality, educator and voice talent - accredited by Society of Accredited Voice Over Artists (SaVoa), and serves on the SaVoa Advisory Board. 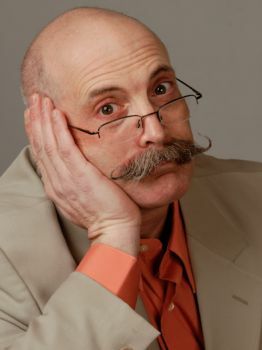 As the Home Studio Master, he is a sought-after consultant - often solving problems by phone and email correspondence, and teaching in VoiceOverXtra webinars. A Home Studio Troubleshooting Workshop is also planned for April 10 in New York City. Great article, Dan! The subtle humor throughout was a bonus and made what normally is dry and slow, quick moving and interesting. Looking forward to your next article. Dan, I am attending voice2010 and will be sitting front row for your breakout session. I'm looking forward to meeting you, and I thank you for the column. Dan cuts to the chase, solves your problem, and is a studio guru. Use him, love him, hire him. I do.